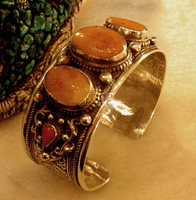 This Tibetan Old Mila Sterling Silver Bracelet is handcrafted by the Tibetan Craftsmen from sterling silver, red coral and Natural Old Mila. 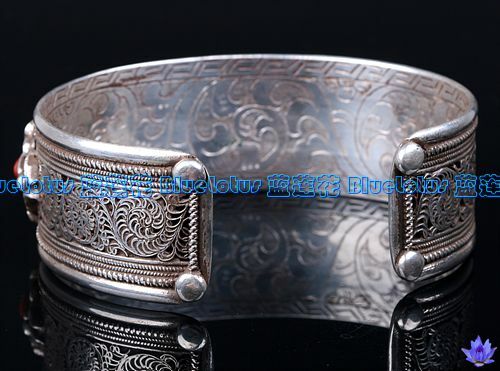 This precious Mila Sterling Silver Bracelet is Unique and perfect for collection! 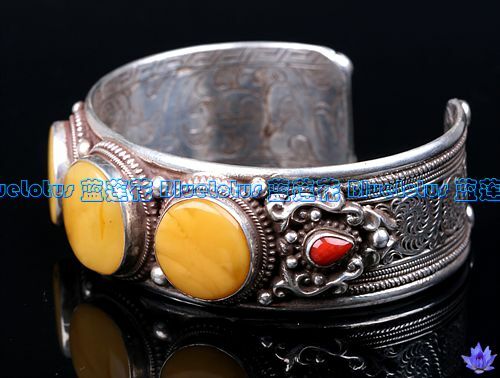 The Real Bracelet is More beautiful than the Picture. 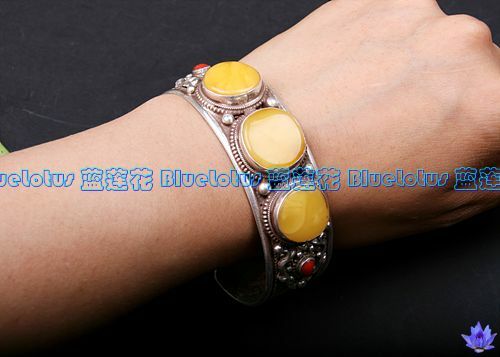 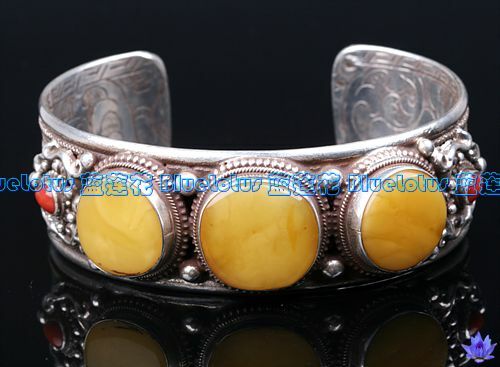 The size of this silver bracelet is width: 25mm, length: 168mm, 165mm. 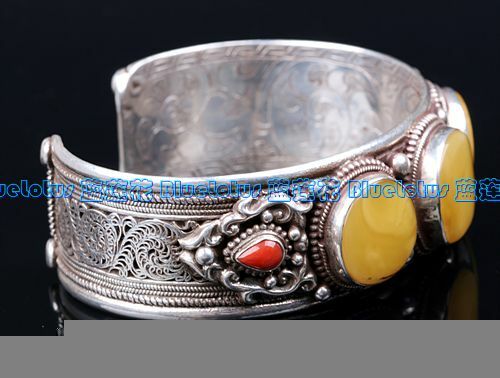 Mila size: 19x19mm. 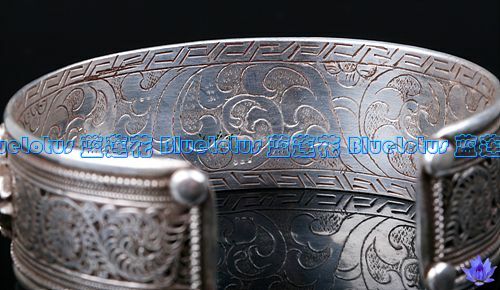 Weight: 79.9g.